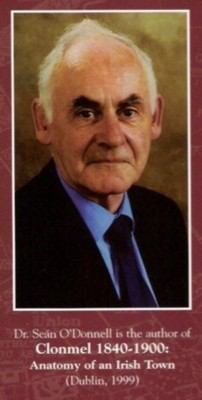 This book is a sequel to Clonmel 1840-1900: Anatomy of an Irish Town, an earlier work by the same author. A span of thirty two years is but an instant in history. Yet those years, 1900-1932, contain within them major developments in the social and political history of Ireland. Observing how these developments unfolded in a local society can assist an understanding of the wider setting. Clonmel provides a favourable observation-point. It is the capital of a county which played a leading role in the War of Independence and Civil War. As a garrison town it had direct experience of the Boer War and World War One. It was the seat of local government entrusted with responsibility for new initiatives in health and social welfare. Its industrial development, with one exception, was conditioned by its agricultural hinterland. The cultural and sporting pursuits of its inhabitants provide an insight to society. This book has eighteen chapters with more than 20 appendices and runs to 450 pages. Hi Thomas, have just checked with Easons in Clonmel and they have the book in stock. If you email them @ clonmel@easons.com they will help you in any way they can. 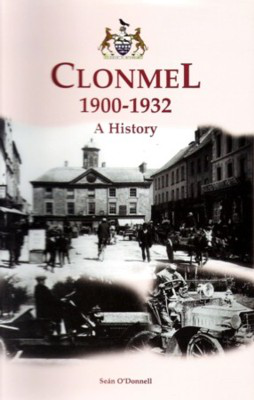 pleasantly surprised to see my great grandfather William Dwyer mentioned in the appendices and other parts of your book.I have tried for ages to buy your new book Clonmel 1900-1932 but with no luck.Can you help with a copy?